Defense: Historic beginning of the Civil War is the Battle of Ft Sumter, as Fort Sumter, a Union fort in Charleston Harbor, South Carolina is shelled at 04:30 April 12,1861 after receiving its last offer of surrender from the Confederates just 2 hours before. Union Commander: Major Robert Anderson was in fact a former slave owner from Kentucky. He stayed with the Union as war was imminent and had been commanding his small detachment of just 2 companies of 126 men total at Fort Moultrie on shore, but decided to move his force to Fort Sumter in Charleston Harbor on December 26, 1860. 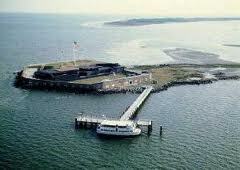 Fort Sumter was in fact under construction. This decision he made without permission or fanfare realizing that he needed a more defensable position. The Union supply ship “Star of the West” was than fired upon by CSA batteries on January 9,1861 trying to reach Ft. Sumter. Attack: Before the Battle of Ft Sumter, Union Major Anderson has held out for months while his supplies last, ignoring requests later to evacuate from the CSA commander P.G.T. Beauregard. He refuses the last requests and offers his own conditions for his surrender to CSA envoy Colonel James Chesnut, Jr. who returns to nearby Fort Fisher. Colonel Chesnut will than open up with his batteries on Fort Sumter to fire the opening salvos of the Civil War ! 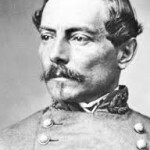 Confederate Commander: General P.G.T. Beauregard was in fact a former student of artillery at West Point under the Union commander he now faced..Major Robert Anderson who commented that he knew Beauregard and that this fine officer would execute his duties to South Carolina “with skill and sound judgement”. The bombardment will last 34 hours when Anderson has no choice but to surrender Fort Sumter to the Confederates. The epic documentary ‘The Civil War’ by Ken Burns as seen on PBS.